ConstantContact mobile apps can help you to stay connected with their patients in real time by calling, chatting, or video conferencing. 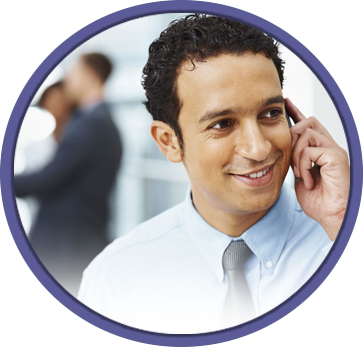 ConstantContact also helps doctors to communicate with their patients in multiple languages. It offers a service called GlobalTranslator to interpret instructions to patients in their languages even when doctors are writing in English. MobiCast is a streaming and recording app that helps doctors or service providers to monitor their patients via streaming or recording mechanism. eSecurity app can help doctors to stay connected with their critically ill patients more closely during emergency period. PunchClock is an excellent time & attendance management tool for local or remote employees. PunchClock app can help doctors or service providers to keep track of their employees’ time & attendance, running payroll and invoicing. It can track & monitor each employee’s attendance based on their location, their start and end time for a particular shift and total number of hours worked in a particular day. MileTracker is used for keeping track of mileages for reimbursement if your employees are visiting patients’ home to provide homecare services or delivering medicines, etc. MileTracker can work in conjunctions with PunchClock app to run payroll, invoicing and employee reimbursement. AssetManager app can be used to keep track of all medical equipment & supplies in the office. It can also keep a log of all the equipment usage log, maintenance and license renewal records in real time. SGI-Scheduler can be used to create work orders, assigning tasks for employees and to track/monitor them on the map in real time. ProtocolManager or Symptom Based Instruction (SBI) app offers instructions or guidance to EMT specialists or other certified medical professionals during emergencies or when doctors are not available on the spot. SBI guides those professionals to treat patients with a step-by-step instruction based on patient’s symptoms and reactions after each step performed. DocFromAnywhere (DFA) is a mobile app that acts like a UBER service. DFA will help you to search a doctor near you by specialty or area of expertise. It will also show who are available for service or not, their schedules or when they will be available again on the map and based on that information, you be able to visit your doctor over video call. DFA will have a central hotline to manage all the doctors/service providers/physicians in one central place so that we can manage quality of our services for those who register to our network. Our goal is to start with retired physicians who want to serve but at their own terms, help residents who needs extra income but, can’t commit to a dedicated schedule of a clinics or hospitals and physicians like those who can make times in between surgeries/patient care or while waiting for next patient to show up or there are several cancellations in the afternoon, etc., These physicians can turn on/off their services on the fly using our DFA app so that their status will be displayed as “Online”, “Away”, “Do Not Disturb” “See Schedule”, etc.